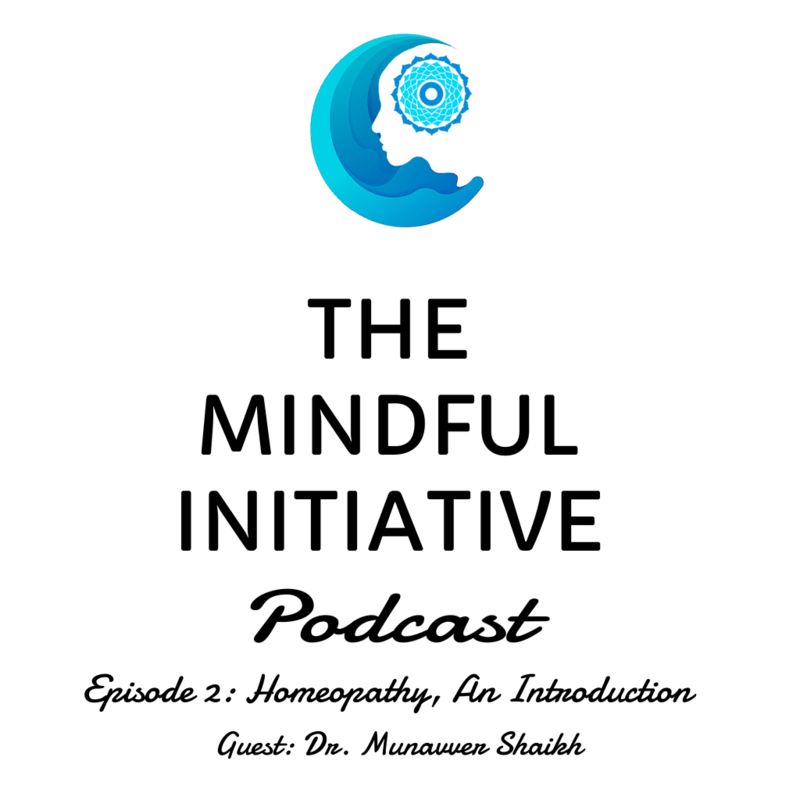 In this episode of The Mindful Initiative Podcast, Introduction to Homeopathy, our guest Dr. Munavvar Shaikh, shares with us nuances, origins and recent developments in the field of Homeopathy. She approaches Homeopathy in a very holistic way by talking about Homeopathy, diet and Yoga. Homeopathy deals with treatment and remedies for various lifestyle diseases and goes beyond medicine to help people deal with societal and psychological challenges that can lead us to a happier and healthier life. Dr. Shaikh practices at the MS Homeopathy in Bangalore, India. You can read more about her and her work by visiting her website. [Nitesh Batra]: Hello and welcome to the new episode of the Mindful Initiative. We are very privileged to have Dr Munavvar Shaikh, who is a Homeopathic doctor, to join us today. Welcome Dr Shaikh. [Dr. Shaikh]: Thank you so much. [Nitesh Batra]: Before we get started, I always like to ask the interviewee or the person who is here, a little bit about their background, where they’re from, what they have done and, and where they have reached. So, if you can just tell us about yourself, that’d be great. [Dr. Shaikh]: Okay. Well, I’m, a graduate of a Bachelor of Homeopathic Medicine and Surgery. I finished it way back in 1994 from Karnataka University, Dharwad. And since then, I have started my practice and I’m practicing for the last 24 years and odd and it is still going good. Thanks to the prayers of my well wishers as well as the faith that the patients have in me. So I’m very happy where I stand today and well, it’s been quite a bit of journey though. Yeah. So here I am today, right in front of you talking to you. [Nitesh Batra]: Yes. Oh, thank you so much. You, you practice in Bangalore, that is correct, at the MS Homeopathy and you’re also the founder of www.indiahomeopathy.com . And that’s one of the first initiatives that has been undertaken by a Homeopathic doctor to bring various doctors together. Can you tell us a little bit about that initiative? [Dr. Shaikh]: Yes. Uh, actually it is an initiative to get all the homeopathic doctors online, especially the homeopathic doctors those are there in India. Okay, to share their cases, to share their knowledge, to also help in propagating homeopathy and taking it to a world research standards as well. And, because we believe sharing is caring and also your knowledge grows when you share and it also helps your patients as well in the long run. So thereby affecting the health of the nation, you know. So we are having a healthy nation, you know. So there are a lot of things that, we had in mind when we started this was basically to provide a platform for all the doctors to showcase their cases, to share their knowledge and help in improving the homeopathy scenario in India. We are also looking at global, but that’ll be a different thing later down the line. But this is just an initiative which has just started recently. [Nitesh Batra]: Dr. Shaikh, homeopathy has its origins in Germany and there are lot of listeners here who may be little bit aware of what homeopathy is and some may be a little more about what homeopathy is. If you can share a little bit more about its origins, a little bit, how it flowed into the different parts of the world and where it stands in India right now. I think it’ll be really helpful. it is the first option and probably the second option. And I’m very proud to say that or rather quote, the way homeopathy treats patients is in a very simple, gentle and sure manner without causing any side effects. The only drawbacks at times that we have had with people asking is like, you know, how does it work? So sometimes, um, it’s mode of the symptoms that visible to the patients, which they get relief from. And that is how they know that it has worked and happy with the results because results matter at the end of the day and it’s visible on the test that they do as well, the blood test as well as the other diagnostic tools which are used. So once it’s cured, the patient is very happy. So that way actually, Homeopathy has, really impressed upon the minds of people today, especially here in India. The research is also coming up and it is improving day by day- the CCRH and the various other organizations which are working extensively in the research department. And that is why we have homeopathic medications, which are very helpful sometimes in these epidemics as well. [Nitesh Batra]: Now for our listeners, what is CCRH? [Dr. Shaikh]: That is Central Council of Research in Homeopathy. It’s body, which does a lot of research in the current, uh, you know, what are the prevailing diseases and how well these medications are helpful in which conditions. So that is what the CCRH stands for and they run their research work pretty extensively. [Nitesh Batra]: And do they work with the Homeopathic Association? You were the General Secretary of the Homeopathy Association of the South. [Dr. Shaikh]: Yes. So yes, they do work extensively with the other organizations and associations as well. And they also try to get information from their resources through these organizations so that they are arriving at a better, how do I say, at better research, which is conforming to the international standards, global standards as I say. There are also various pharmaceutical companies like Reckeweg and you know, Schwabe Company, German brands as well as the foreign brands, which also are pulling in amount for research within India. Some of the companies are pulling in amount within India also and on an international level also they are doing so that it does, actually, homeopathy has improved a lot from where it started, so that way I think this is the “in-thing” happening now and I think it is going to be the next best thing in health. Uh, how do I say in health providing, you know, for all, as such. [Nitesh Batra]: Making sure we live a happy, healthier life. [Dr. Shaikh]: Exactly. Through a holistic way, you know? Yeah, exactly. [Nitesh Batra]: And I think that that was my follow-up question. So when you said sometimes it’s medication, but the way I understand homeopathy takes a very holistic approach towards living your life. You know, medication is just one part of it. I don’t know how substantial. Probably depending upon the disease. [Dr. Shaikh]: True, true. I do agree. See what happens is whenever a patient comes to us, normally I’m just giving you why we call it as a holistic homeopathy is when the patient comes to you, they come to you with a lot of problems, whether it is mental or physical or a combination of both of these, like for, we call it as a psychosomatic disorders. So they have come here to be heard, number one. Second, they would like to be diagnosed properly. They would also like to have a proper, not just a medical diagnosis, a remedial diagnosis as well. And with the right choice of potency and strength given to the patient, you can definitely assure the patient of good results. And Complete Cure. That is, when we say the word Complete Cure, it is cure from the root itself. We are cutting the disease from the root level. So there’s something called a Miasm. What we have in Organon philosophy that Miasm is a disease -causing factor per se. Uh, so we believe that, uh, there are various kinds of Miasm. Again, you know, I mean, I could actually go on and on about talking about homeopathy. And the way we approach about it and the way we go about assessing which Miasm the person belongs to and you know, like we have Psora, Sycosis, Syphilis, Tubercle or the way the person fits in and we normally believe that, you know, the Miasm, you know, I mean the problems basically start from the womb and end in the tomb. Okay. So this is something which we actually see when we are born, we have no problems. I mean, unless and until there are some other medical issues as such, but otherwise, uh, we believe that there are certain factors that caused the disease. Whether it is your external factors, your internal factors, whether it has to do with your diet, your lifestyle, or you know, the problems that are prevailing at home or outside at your workplace or it could be anything for that matter or it could be the allergens, you know. And in Bangalore we have, Bangalore is like the hub of allergens, so, various factors contribute to your illness. So we would rather say that it is a “dis-ease”. You are not at ease, basically. Because of certain change in your body parameters or change in your symptoms or a change in your health. So, when you are treated through homeopathy in a holistic manner, you arrive “at-ease”, you are at ease with your health. So there is no more “dis-ease”. You’re only at ease. This is what basically we believe in homeopathy. [Nitesh Batra]: I think that’s, that’s a pretty good explanation of understanding from a very holistic standpoint of, of what homeopathy takes as an approach, of helping people. And I think that’s the most important thing. But your answer brought up a very important question for me; about allergies in Bangalore. So, Bangalore is a hub for allergies, but Bangalore is also a hub for a lot of people who come and move to this place in their adult age, you know, after the twenties. When they join their first job or something else, come to study here. And I think a lot of our listeners may be interested, what are some of the precautions that they can take, especially with the changing season, whether it’s rainy season, summer or with winter approaching in a few months. What are some of the precautions that they can take when the season is changing or when the season is going on? That’s my first question. My second question is about their diet. How should they manage their diet with these changing seasons as well. [Dr. Shaikh]: True. See, if I really look at it, I mean we normally deal with allergies and various other disorders. Now we realize and sense that people who are originally Bangaloreans as well as people who come from outside that is from outside Bangalore, they are prone to the allergens which are prevailing in Bangalore city. Unfortunately, I have seen Bangalore growing, growing from bad to worse. In the span of I think last 5 to 10 years, we have seen a dramatic change in the Bangalore weather as well as the allergen and the pollution for that matter. So, I do agree that it’s an IT hub as well, but for me, it is an allergen hub as well. So, we normally advise patients to stay away from allergens as much as possible, avoid their exposure to the allergens as much as possible. So, if you could do something with helping yourself with a mask or covering up yourself with any cloth or any tissue, that should normally help. Also inculcating good healthy living habits, sleeping habits, eating on time and eating food which suit you, rather than eat food that would do you more damage and cause you more harm in the long run. So, thanks to the kind of, IT hub that we have here, there are a lot of other companies which have come up, you know. We have a lot of fast food chain outlets out here and people just are lazy to probably cook up a meal and they settled down for any quick, fast, quick bite of these fast foods. So invariably what happens is you’re just building and loading up your body with carbs, which is not the right thing. You need to have a well-balanced diet, which is very important for any person and you have to have that recommended number of calories as per WHO standards as well. So, you also need to ensure you get your good six to seven hours of good sleep at least. Good quality sleep is also important. A good bowel is also important at the end of the day. And also the same time, your mental setup needs to be good. You need to be at peace and harmony with yourself no matter what’s going on in your life personally or professionally. So if that is taken care of, I think you can avoid and keep at bay all the possible health disorders that you can and all the allergies that you can. And allergies is not just with the respiratory allergies, there are food allergies, there are skin allergies as well. So, I will request all people who are listening that they inculcate a good healthy living /lifestyle and good eating habits and a positive mind frame if they really want to overcome any ailment. Because stress can pull them down. And that is the mother of all diseases. Okay. So that is what I would like to say. Have a positive outlook towards life and a healthy way of living. That’s very important. [Nitesh Batra]: There is help available if someone’s suffering through or going through. Through you and some of the other doctors here in Bangalore. So, the second part of the question was, you know, with the changing season, what are some of the recommended food changes that you recommend for people to have? [Dr. Shaikh]: See. I wouldn’t want to differentiate here, but of course I will have to say. Food changes as in, try to avoid. People should normally try to avoid any kind of cold food items. Like what we have seen is a cucumber, coconut water for that matter. Avoiding curds at night, avoiding bananas at night, does help you to stay away from recurrent cold, cough or sore throat infections. Even when you avoid eating outside, fried food or any kind of food item which is cooked outside or stale food items, that also helps you to prevent from not only food infections, even gastro infections for that matter. And please choose wisely your quality of water and your quality of food. It does matter. Do not just give in to temptations is what I would say. Resist and discipline your mind, body and soul. That’s very important at the end of the day. [Nitesh Batra]: Yeah, and I think it’s a lot of it is common sense for most people, but our sense doesn’t prevail when we see something that we really like. [Dr. Shaikh]: Very true, very true. Also, I would like to tell the listeners, it is always better to start your day with a glass of warm water and end your day with a glass of warm water. Have a packful of other, you know, handful of your dry fruits and raisins so that you’re backed up for the day with regard to your protein and your other essential oils, vitamins and minerals that is required. The rest of the food, of course, we are living in South India, I don’t know about the other food items and how other people have adjusted here. But then I think, trying to have a well-balanced meal of carbohydrates, proteins, vitamins is very, very essential. For anyone today. [Nitesh Batra]: I think I would like to add one point in relation to dry fruits. If someone’s allergic, they shouldn’t be having dry fruits. [Dr. Shaikh]: If somebody is allergic, yes, of course they shouldn’t be. If somebody’s having digestive issues with that, they shouldn’t be. So, see again, it’s like one man’s food is another man’s poison were just discussing the other time. So it all depends on, person to person. So the best thing advisable for them would be to just consult their doctor once. If they’re suffering from migraine, so you know, they have to avoid certain dry fruits and chocolate and other things. And so also, they should consult their doctor, take the dietary recommendation by the doctor and follow it up. That’s very important for them. [Nitesh Batra]: I think the second follow up, part of the question would be, I think what you’re saying is having more seasonal fruits as well and seasonal vegetables. Because nowadays let’s say for example, watermelon has become available throughout the year. And it used to be a summer food when I was growing up and I don’t know the kind of impact I feel that I’ll be having. Watermelon in winter doesn’t even make sense to me. [Dr. Shaikh]: Coming to your point about seasonal fruits, so I do not believe in anything. Seasonal fruits. Yes, of course. I mean if somebody has a knowledge of what seasonal fruit is, probably they will understand that and they’ll follow it. But then there are…of late, what I have seen is people don’t have the concept of seasonal fruit. Neither the concept of having home food. So, this is a major drawback which we see in today’s generation and unfortunately they are more vulnerable and they succumb to diseases more often because of the poor immunity that they develop. So that is something, food is something very essential and very core to our health. So, we need to ensure that we eat good healthy food and yes, if we at least try and listen to our elders, the younger generation, especially if they listen to their elders, you know, I think it’ll make a lot of impact on their health for the better. [Nitesh Batra]: I hope some of the young parents and younger kids who are listening, they might benefit from this and I hope they do. I think that brings up a very interesting point about the immunities. I, I know that you work a lot with Aanganwadi workers and women and children of that strata. Do you see any difference in the way they live their life and how they are impacted by these diseases or how they are happier or not happy in what they do. How do you relate that in terms of their overall health, which is their mental health and physical health. [Dr. Shaikh]: See, if you’re talking about the Aanganwadi strata people or the lower strata people basically. Now, this is a section of the society which is a neglected lot and they are having many other core issues like how to live a daily life, how to arrange for the next meal. That is the way they live their life. And that is a thought that bothers them the most. While working with Aangawadi, the workers as well as their children, what we have seen in conducting various camps, they suffer mostly from nutritional disorders, a disturbed, battered family, so there are a lot of mental issues also bothering the child. It’s difficult to assess between a two year old to a five year old because, they are not able to voice it. So the best way they expresses through the expressions and frustrations of anger and probably otherwise keeping quite. [Dr. Shaikh]: They do not speak or they do not interact or they do not show interest in any affairs. Even when the Aanganwadi teacher is teaching, they are probably not bothered about it or did not even bother to even come there. So have been forcibly brought there. So it mentally affects them. The kind of scenario that is prevailing in their home. With regards to nutritional disorders, all kinds of nutritional disorders are visible and it pains to see them like this. While we’re saying India is developed and you know, I think we call ourselves digitalized and so on and so forth, but some where we are still lacking in providing adequate nutrition to the child. Of course now with this Akshay Patra and a lot of other things that have come up, people are very helpful. And they’re coming forward. Even private organizations and government and all, they’re providing them atleast one meal a day properly. It is very good. That is really nice and commendable and a good job that even our government is doing. But then how to ensure the next meal for the child. How to ensure a good quality education for their child. How to ensure the other facilities for the child, a home for the child. While we are dealing with dealing with them, we also found out that, most of the times the women are the working lot, the working force at home. So, they’re taking care of the house as well as providing for their family as well. So this is something that really opened our eyes with regard to the women, their mental state as well. They are very disturbed. Hence, when we were doing the medical camps, we ensured that we also do a bit of counseling to them and talk to them about their problems and also help them whatever possible through homeopathy as well. And that is something that will actually give us a lot of satisfaction and we are very happy that they also gave us an opportunity to serve them. [Nitesh Batra]: And I think there is no one solution for all. There are more people like you who are needed to go and help and whatever we have earned in the way of maybe money, success or our learning are the most important and probably give our time to them to help. That is what is also happening in a lot of middle and upper class families as well. I think the kids are being uh, uh… they don’t…. Parents don’t have much time because we are in this, like you said, digital age, information age, and because parents don’t have time, kids are suffering from many diseases. Uh, and some of them can be easily resolved if parents spend time. But I believe in homeopathy, you are seeing such patients a lot now, right? [Dr. Shaikh]: Yes. We are. In fact, to tell you frankly, there has been a sudden surge of ADHD cases as well. And we’re also seeing a gradual increase in the number of counseling cases for adolescent age groups. That’s because of the digitalization and a lot of workshops also being conducted. And we also see that kids who are spending a lot of time on digital equipment, whether it’s mobile or their laptop or the desktop, or also playing some video games and things like that. They are actually losing out on their interest and focus in education. While some games and some, programs claim that they actually enhance the cognitive abilities of a child and they enhance the thinking, you know, capabilities of a child, they’re more alert and active, but unfortunately it doesn’t happen. So what we see is a gross decline in the education and their scoring which is visible. So that is one thing which we are seeing the adolescent age children. Apart from that, we’re also seeing a lot of behavioral issues with them and a lack of focus even in future. Forget about the present, the future is also not there nor the present is what they’re interested in. The other group of patients is ADHD. Anywhere if it’s easily identified, it’s between the age group of four or five years old, it is identified. So they identify and we have parents who come along with their children. That the teacher is complaining that the child is very mischievous or is not sitting quiet in one place and very impulsive and hyperactive and not focused on things so on what the class teacher is seeing. So, and it worsens as each year passes by, it worsens. If it’s not addressed and taken care of properly. So that’s where we have also seen the scope of homeopathy and homeopathic medications along with counseling for the parents as well as to how to go about, managing the child and understanding the child and sitting down with the child, spending quality time. Then the child comes around better and we have seen a good improvement through homeopathy in ADHD cases as well. Attention Deficit Hyperactive Disorders. [Nitesh Batra]: You talked about some workshops for parents, workshops for kids and children. Who does these workshops? Is it from you or the Homeopathic Association or people from outside? How if, if some parents are listening and they would like to know more, who should they contact? [Dr. Shaikh]: They can contact us. Because we do it. We also have on our panel, we have a psychiatrist as well as counselor and who are available as an when there is a requirement, and we also do counseling. Okay. Because whenever any parents approach us for their children or their child for ADHD cases and all we, ask them to come and give us the entire history. So the case taking itself can take anywhere between one to two hours because we have to go into details and you know, ask about even the mental status of the mother when she has conceived the child and till her delivery, what was her post partum status and was she able to cope up with everything and was their support enough from her family members as well? Uh, so there are a lot of things that actually go about, in understanding why the problem is there and from where it has stemmed. [Nitesh Batra]: So understanding the root cause of the disease. And you talk about postpartum depression and stress and because we have a new child in the house, we’re new parents. We have a 11 month old. So I think that that would be really helpful for, for my wife and for me if you can share or shed some light into what happens right after, I know a lot of women want to lose weight, get back to what they were before and, and there is this whole idea of, you know, let’s diet, let’s exercise and that takes away time from, from the child and also it creates a lot of stress in the mind of the mother as well because they want to lose right away. They want to…. and they’re feeding as well, so their diet doesn’t go down. So a lot of conflicting things that are happening. So if you can, if you can talk a little bit about it, I think it will be helpful. [Dr. Shaikh]: See, for this question that you asked. I would rather start it from beginning. I mean, you know, when the baby girl is born, when a child is born, okay, I’m talking about a lady in general, like from the time she’s born till she grows, there’s this first phase of, you know, maybe till she attains menarche, puberty, basically. So once the puberty is over, the next stage for her, is marriage, after that, it’s the child birth after that, then there is this menopause also that comes up. So for a woman, also the multifold journeys that she has to undertake and her body undergoes through a lot of changes. This has to be understood. Unfortunately, in India we do not have enough of education with regards to women health, which is what we did with one of the colleges. We actually educated the entire women’s college on the problems that are prevailing with the women and how homeopathy can help. So to understand, to make you understand more, better, to make, to understand listeners understand better, see homeopathy as such with regard to understanding the women for her right from the time she conceives, pregnancy, till the time she delivers, there are a lot of hormonal changes, body changes that she undergoes. She’s no more the figure…I mean, she doesn’t have the figure anymore that she always had. She’s put on weight. She’s not feeling comfortable. There are some issues like vomiting, hyperemesis gravidarum, maybe vertigo spells, maybe some other hormonal issues. Thyroid at times, you also have women with diabetes and hypertension during pregnancy and it just goes off once the pregnancy…. once she delivers, it’s all gone. So what happens is there is so much of weight gain that happens and in our typical Indian society, we have a lot of pampering that, you know, you eat, please eat well otherwise you know, the kid is not going to be healthy. You please eat well so that the kid is also, you know, okay, and you have to eat for two people. now it is not one person you have to eat for two people. So, somewhere down the line we are actually pushing a lot of food at times, maybe, it’s required and sometimes maybe it’s more than required. There are also other society strata where you don’t even get the required recommended dosage also of food. Well that’s a different thing, but yeah, coming to getting out…I mean, going out of shape completely from pregnancy till delivery. And post-delivery also you’re supposed to have a good meal so that you are lactating better. Okay. You are getting back your strength because body is undergoing your repair, you know, if it’s a normal delivery or caesarian, body is undergoing repair and changes and it’s trying to heal itself. So during that process you know you are forced to eat food that is healthy, highly nutritious and very rich in diet and our Indian society has it all. Okay, so you are just asked to a have it and probably that’s where you go out of shape again and to get back to the normal will take definitely a long time, physically. Coming to the mental aspect. You are mentally battered. I would say that because there’s so much of changes physically that you have encountered after birth; childbirth, you have gone through a lot of changes within yourself. You’re fatigued, physically and mentally. You’re trying to adapt to being a mother and being responsible for your little one now. Okay. Who is wailing all the time, who needs, you know, being fed all that time, breastfeeding. So and you have to lactate enough to be able to breastfeed the child as well. So there is a sudden responsibility that comes on to the mother as well. The new mother, I would say, so it is very difficult for them to adapt at times and to manage the household responsibilities as well at that point of time and suddenly slowly, sometimes these women get depressed. And postpartum depression is actually, not much widely discussed. Uh, neither people are aware of it. There are very few highly educated people and people who really understand and empathize with women that they understand what their women is going through and probably try and help them in supporting them by taking time out for their child and trying to give her some rest. So that is something which we see in today’s modern strata. I think even you’re telling you also doing your bit from your side. So this is really a mindful gesture, I would say in a thoughtful gesture, gesture from the man, towards or from a husband to his wife and it’ll also be nice when the father is able to bond with the child. So that also helps a lot. It need not be only the mother bonding with the child initially. It can be a father also bonding with that child, which will help the child later down the line. It may not be visible immediately, but yes, in coming years it will be visible. The bonding will definitely be visible. So the women, yeah, you’re talking about the weight gain that the woman has. Yeah. So if they really want to lose weight, we have a very nice program for them. I don’t want to do any marketing here, but Homeopathy medications do help in reducing the weight of, you know, this post-delivery, and all, what they have of the women. Gradually, without any side effects and in a very gentle manner. It will not even harm the child, but sometimes it is always advisable that you rather wait for six months at least. And then you can start with the weight loss program because then there will be a diet chart also, which will be given. Like, we do that. We also give the diet chart. We also tell how they have to take the medications and what are the other, the dietary changes that they have to do. We also ask them to inculcate walking, okay, as a regular part of their routine lifestyle, at least 45 minutes to one hour of walking daily, followed by a bit of floor exercises or stretching exercises. That’s where I incorporate yoga and you are a yoga expert yourself, so that’s where I also incorporate a couple of yoga asanas to help them tone their body. So it’s not about just being like, you know, gym fit, it’s about having a nice supple, flexible body, a healthy body and a mind. That’s what matters at the end of the day. [Nitesh Batra]: I think that’s a very important point that eventually having a calm mind is what is needed. And everything else will fall into place. I think that’s very good to know and I’m sure it’s not only the women who have just delivered or new moms, or new mothers, I think it’s for everyone. Even if they are overweight, if they are trying to lose weight or if they’re trying to be healthy, it’s the mind that’s the most important to seeing that everything is fine the way it is, and then eventually working towards whatever goal that they have. [Dr. Shaikh]: We have to work towards, you know, getting themselves more fitter. Now if they feel they are alright and yet the reports are saying no, that is something that they have to really make a change. That’s where they need to change. So, they need to adapt to the modern lifestyle also, at the same time, keeping their mind, body and soul in harmony. That’s very, very important. It’s only then the harmony in the house also will be there. Otherwise it’s a disaster for everyone. [Nitesh Batra]: I see lot of parallels between Ayurveda and Homeopathy. Is that something that’s been there for a long time or is it because it’s in India that you’re practicing that, that you’ve learned things about Ayurveda as well and they’re incorporated in Homeopathy? [Dr. Shaikh]: See, yeah, it’s a very good thing that point that you brought up. Being in India, we are exposed to alternative system. We have Unani, you have Siddha and you have Homeopathy. Ayush has really got up big time in the last five years more so. It’s like visible everywhere and government is also funding a lot of projects associated with that. So we have a Bhavan, Homeo Bhavan also… which we have….it’s been inaugurated in Bangalore here and that is also to cater to the masses and to the needy at a very reasonably priced, economically price rate. Now, if I look at, you were talking about Ayurveda and Homeopathy and whether they have some kind of similarity. Similarity is that they are the best alternative treatments available today. More so in India. Ayurveda is very popular in India as compared to anywhere, but now it’s taken a global platform and it is also like popularized everywhere else around the globe. Homeopathy too, for that matter. Although the origins are not from here, but it’s kind of gained so much of popularity. Like I told you in the first phase of our talk itself that it’s more so in India than in any other country. And now Europe is suddenly catching up with Dr. George Vithoulkas doing, you know, his own methodology of treatment and his approach towards things, uh, Homeopathy. He’s got a different perspective altogether. So in Europe, today, he’s gaining a lot of popularity. And Ayurveda and Homeopathy–we have the same sources. Plant source, animal source…. you know, mineral kingdom. The basic difference comes is in the method of preparation of medications. How they are procured, which part of the plant is taken, whether it is the stem, the bud, the leaf, the root part, which part is taken and how the medications are made. So we have, you know, we have Succussion, Trituration. We have a lot of elaborate processes unlike Ayurveda which is more of the crushing and then the remain of the extracts and more of Kashayams and powders and other things and all. Here it is, more to do with the, dilutions and tinctures, and in the pill form or you know, various other forms that we have. So I think Homeopathy per se, as such, is a much more refined, I would say. Ayurveda is still a little bit crude form, I would say. Okay. I have found that sometimes people do not get so much adjusted to Ayurvedic medications because of the pungent nature or the strong nature of it. Whereas in Homeopathy we have a very, very minute, refined, distilled process. So you hardly get any strong pungent flavors and all unless and until it’s a tincture and that the doctor is prescribing you. So whenever the person takes here, it’s more of nano doses — very small, nano and today’s world of nano technology, so we have Homeopathy with Nano doses. So it’s befitting that Homeopathy fits for the modern day, man and his health problems. [Nitesh Batra]: Absolutely. Absolutely. It’s fitting, right in. It is fitting for the times. So before we end, I would like to give you an opportunity if, if there is, if you would like to shed some light on the state of Homeopathy and, and the future of, of what it looks like. Not just in India, but from a global perspective, and how it can benefit someone, instantaneously. Instantaneously is a new word that has come up recently, immediate or acute cases. [Dr. Shaikh]: You mean, how helpful it will be for people with immediate issues. That’s a nice thing actually you brought up. You know, people have this misconception that Homeopathy is only for chronic diseases, which is not true. Trust me, even when I, before I joined Homeopathy, I was also under the impression that Homeopathy suits only for joint disorders or asthma. These were the conditions which were drilled into our brains that it’s a very slow process. It will take years together to get cured. And contrary to that, what I have found once I started my practice, and even while I was studying, there are acute conditions where just one dose at times does the magic. Provided, your diagnosis is right. That is your disease diagnosis as well as your remedial diagnosis along with the right choice of potency and strength that you choose with the Homeopathy medication, for that particular patient and how it has to be given. Whether in the liquid form, pill form or dilution, whatever you call it. So, and for that, you need the patient to be telling you the exact symptoms, not dramatizing it. So there is, where, you know, the patients play is very, very important in such cases. If you really want good results, the patient has to be like, you know, open and clear and honest about their symptoms. It’s only then the doctor is able to prescribe and give results ASAP. Acute remedies, acute conditions, I mean, the results are instantaneous. If not one dose, maybe it might take up 2-3 doses or so. But results are there. I’ve had patients who were recommended by my allopathic friends who have come because their vomiting hasn’t stopped. Or their pain hasn’t stopped and once they have taken the Homeopathic in the clinic itself, they have felt much better and they haven’t had a relapse of that. I mean, for whatever conditions they have come. So chronic diseases also, it’s not necessary years together. It can be about a year or so depending upon how the patient responds, how they aptly follow your advice and the treatment and whether they’re taking the medications on time or not. And hopefully they are following all the advices like, you know, not, not having raw ginger, garlic, onion, coffee, strong flavoring agents or having any, I mean smoking or drinking. That’s when the medicines work better if they’re not doing any of these. [Nitesh Batra]: I think that’s a good way to end the discussion or at least come towards the close of the thing to make sure people don’t drink coffee or tea. [Dr. Shaikh]: No, they can have tea, ofcourse. But not coffee and definitely no raw ginger, garlic, onion while they are taking Homeopathic treatment. And, there are certain diets which are recommended as per the diseases. So, that also if patients follow, the recovery is faster, which is why most of the patients say, doctor, please recommend a particular diet so that we get, we recover quickly. Because that is something which is very particular to our treatment that we do at our MS Homeopathic Medical Center that we are very much keen on knowing their diet and lifestyle of that particular patient and we advise them accordingly. So we do not give them suddenly something, okay, this is what you have to do. But apart from the basics that have to be avoided, we also tell them that if you can tell us what you’re doing from morning till night, let us see what are the changes that we can do so we customize it as per each patient. Because only when you do that, then it’s easier for them to follow and then results also will come in quickly. [Nitesh Batra]: Absolutely. It’s again, the mindset of “One size doesn’t fit all”. It has to be customized. Well, thank you so much Dr. Shaikh, for being here, spending the time to speak with us, to speak with our listeners. We’re very, very thankful that, that you have come here and talked about homeopathy and I’m sure a lot of the listeners who have, who don’t know much about homeopathy, which are going to be few, I’m sure, will learn from what we have talked today and if and when they need it, they can approach either you or other homeopathic doctors. [Dr. Shaikh]: Definitely. Definitely. Thank you so much for giving us an opportunity to come here and talk to you and of course, you know, to also make, have us as your guests here so that we are able to propagate Homeopathy, in a better way. And should your listeners have any doubts or any clarification that they would require from our end or if they require any help from our end, they can definitely contact us. Okay. At our MS Homeopathic medical center. [Nitesh Batra]: Yes. And your website, if you can…. [Dr. Shaikh]: Yeah, sure. It is www.mshomeopathicmedicalcenter.com. We also on google maps as well. And there is a link also on our home site web page and that can direct a person to the location. And, to put it in a nutshell, let me just give you a small thing as to what we do. We, are in this for the last 24 odd years. So we specialize in allergies, polycystic ovaries, women and children, health related disorders, renal stones as well. We also do counseling for anxiety, depression and behavioral disorders as well. De-addiction to tobacco and alcohol to certain extent. We also deal a lot with the IBS and psychosomatic disorders like migraine as well. So, and gastritis, ulcers. So there are a variety of diseases which can be treated. All are listed on the website, www.mshomeopathicmedicalcentre.com . So they can actually go there and have a look and if they have any issues they can definitely get back to us and we’ll help them in whatever best possible way. And thanks to you. And hopefully whatever we have told helps the patients. At the end of the day, I would always want to tell them that there’s nothing better than having a healthy mindset, with a healthy mind and soul and body. And please try to keep yourselves fit by at least walking everyday for 45 minutes, exercising for another 15 minutes, having water at least about one to two liters of water in a day and trying to have fruits in their real form than in the juice form. Also, try to have food on time and eat the right kind of food at the right time. Try to sleep on time, keep away your phones and other distractions as much as possible. Work as much as you have to because it’s only one life we’ve got. Enjoy it as well. Thank you so much. [Nitesh Batra]: That’s a great closing note. Thank you so much to our listeners who have tuned in to listen to the Mindful Initiative Podcast. If you like our podcast, please share it with your friends and family and don’t forget us. Don’t forget to like it either on google play store or iTunes. Thank you so much. This entry was posted in Blog, Meditation, Podcast, Yoga. Bookmark the permalink. Thank You so much for listening to it. Glad you enjoyed reading along. I think it makes the understanding much better! Yes it does! 🙂 Thank you for taking doing that. Awareness about Homeopathy. Good to know the information more. Doing good job Kaka. Having Proud on you and wishing all the best to you and your family. Stay blessed. Keep it up! !